The Neptune swim spa has more space than the Hydros. It’s 4.3m length means you can adjust the swim jets’ power and settle into a steady swim pace whilst at the same time your swim partner can relax at the spa end. 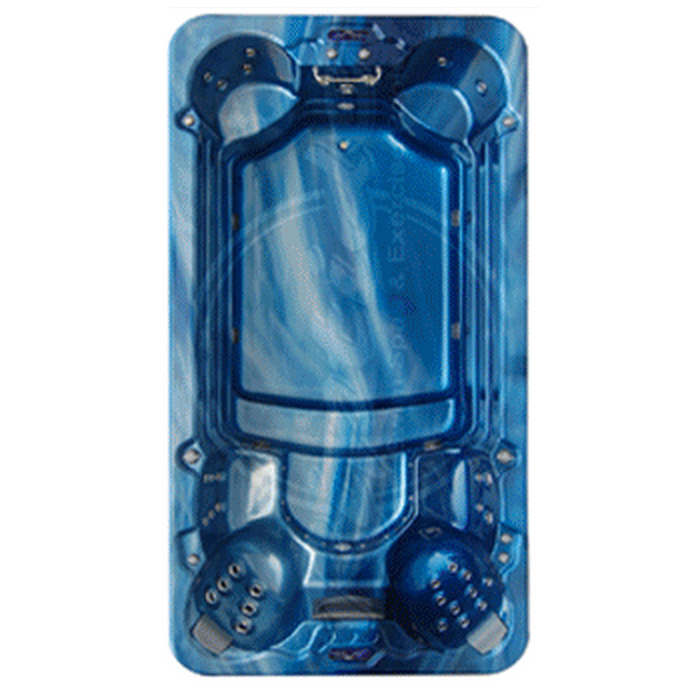 The Neptune is an ideal pool and spa for taller and more efficient swimmers. The Neptune features a four pump, four jet counter-current system, each controllable for water speed, air flow and direction. The top two jets are individually powered to give maximum swim resistance while the third and fourth jets give the swimmer buoyancy.